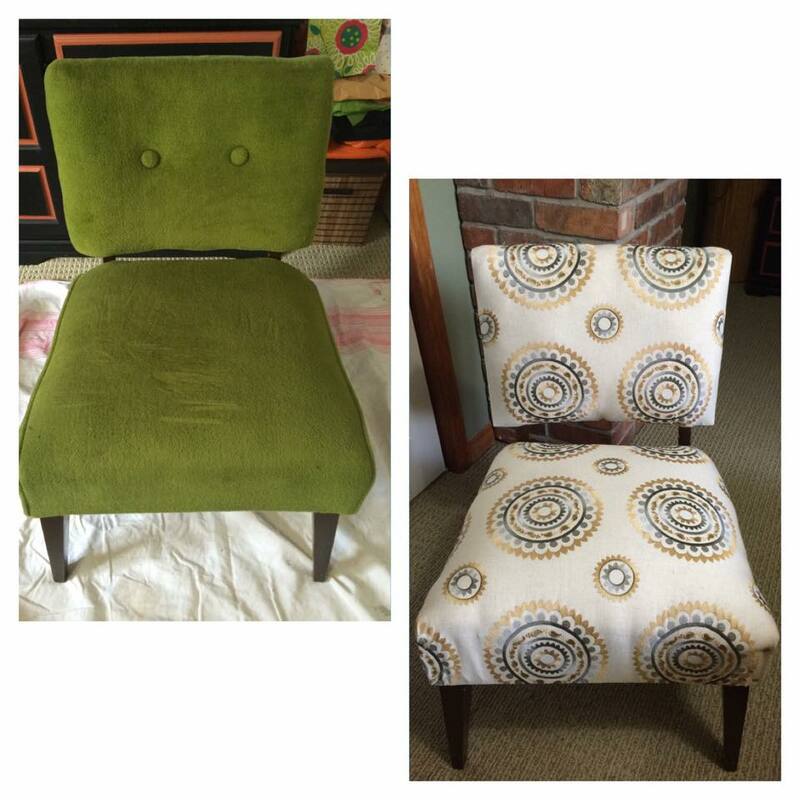 I have always been intrigued yet intimidated by reupholstering projects. Giving a good quality chair (and I’m not talking about IKEA) an update had always seemed like a great idea, but I never had the balls to actually get started. Until now. My Grandmother (Great Grandmother?) had this musty, puke-green, retro-looking chair sitting around her farm for ages. I finally took it, thinking it would look good in my room but it didn’t. And it smelled. It was in dire need of a face lift. Before I took on this daunting task, I did my research. Pinterest became my BFF (who am I kidding, it’s always been my BFF!) and I was soon reciting DIY videos in my sleep. I also chatted with some of my mom’s friends who were experts in the field. I was ready to go! 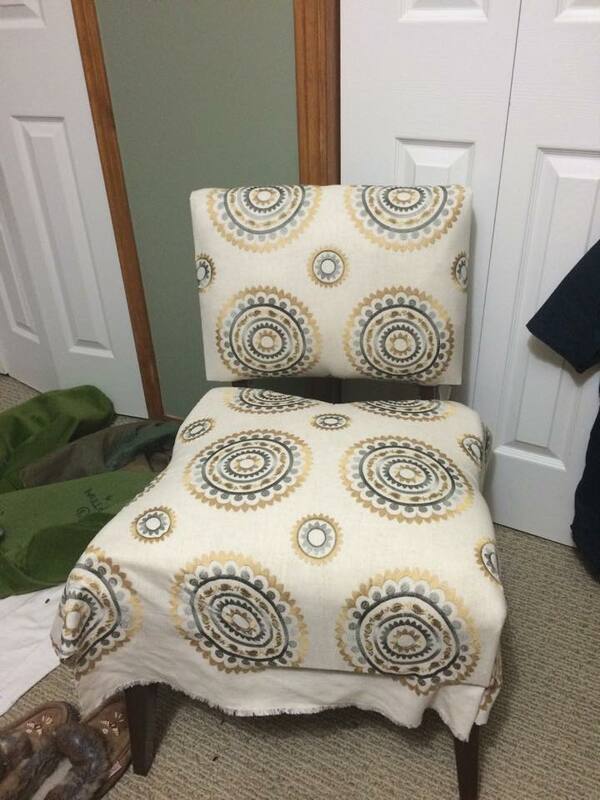 If you couldn’t already tell, this was the chair before. 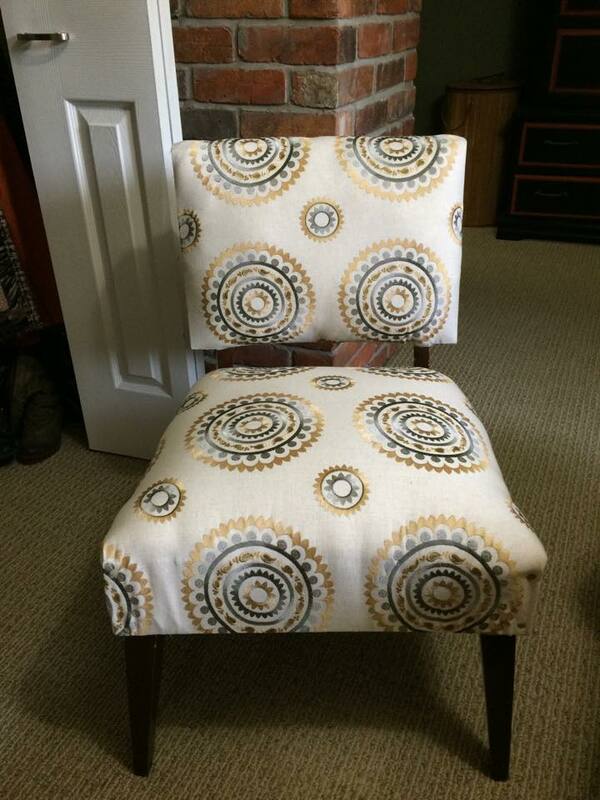 I’m not going to give a tutorial or step-by-step on how to reupholster a chair because a) I have no idea what steps I took to get the finished product and b) yours would probably turn out to be a total disaster if you listened to me. But I will, however, tell you my experience with the chair that I like to call “Mr. Green”. 1. First things first, if you are working with an older chair (which most of you probably are) beware of the dust that’s trapped inside of the chair and the smell and sneezing that will follow. Because of the smell, I decided to toss all of the foam and stuffing in the chair along with the fabric, stripping the chair to it’s bones. Deep breath in… rip off the fabric… okay, exhale. 2. When you remove the fabric from your chair label it and do not throw it out. I repeat, DO NOT THROW IT OUT. Labelling is key, especially if your fabric didn’t have a pattern like mine, so you know which way it goes back on the chair. And not throwing it out is important because, well, it’s your pattern! 3. Call a friend! 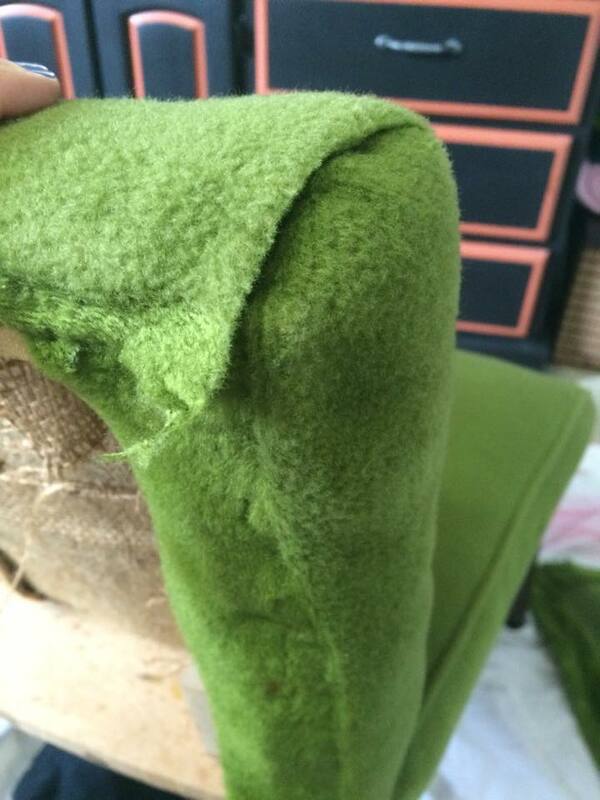 Reupholstering is a good time to rekindle with old friends (or anyone who is near by who can hold the damn fabric in place while you try to not staple your finger with a staple gun). 4. Buy the right tools. Upholstery nails/tacks are made for a reason, people. Don’t try to hammer normal nails into the wood because they will bend and/or break and you’ll want to hammer that nail right into your brain. (Okay, that’s maybe an exaggeration but it is quite frustrating). Not going to lie, I am pretty proud of the final product!